On Tuesday, 25 August 2015, a company with an awkward name you've never heard of won a contract to build the most important car of the 21st century. On Wednesday, 26 August of the same year, a Brit the company had never heard of asked if he could have a go in it. Despite them being a bit busy, two days later I had an e-mail back from Oshkosh Defense, the Wisconsin truckmaker that’d scored the $6.75 billion gig. "We're expecting some appeals against the decision, so we'll call you." I'm paraphrasing, but only a bit. 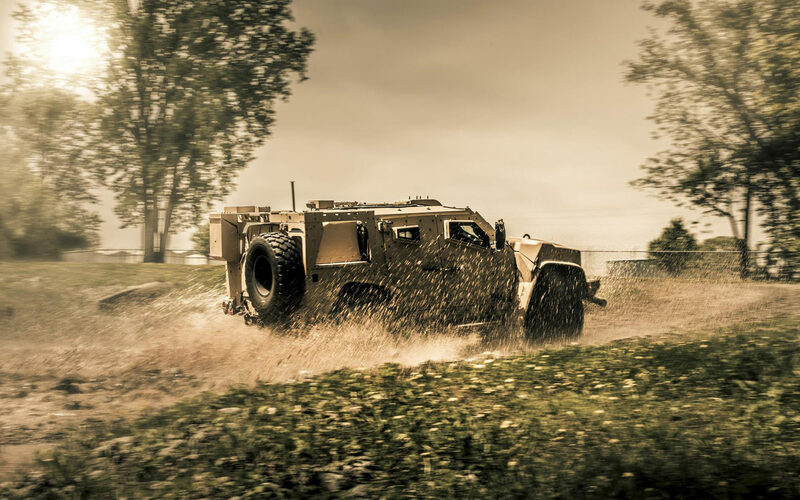 Fast-forward almost three years, and Lockheed-Martin's legal challenge has been dropped, and the US Marine Corps has received its first batch of Oshkosh Joint Light Tactical Vehicles. Eight roll out of the factory near the west coast of Lake Michigan every day, five days a week. That'll double in October. 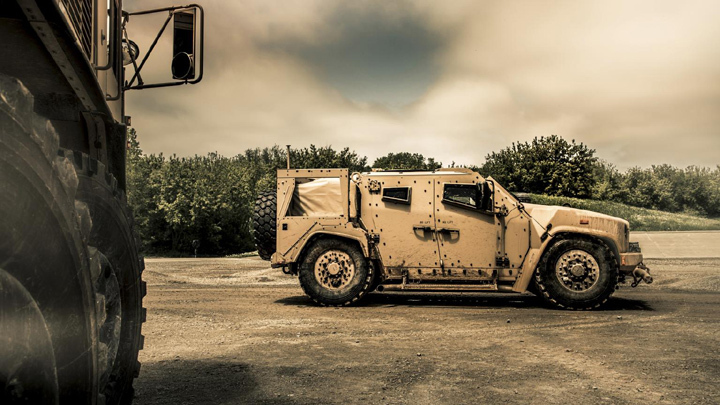 You're thinking "that doesn't look much like a Humvee"—or HMMWV, officially. 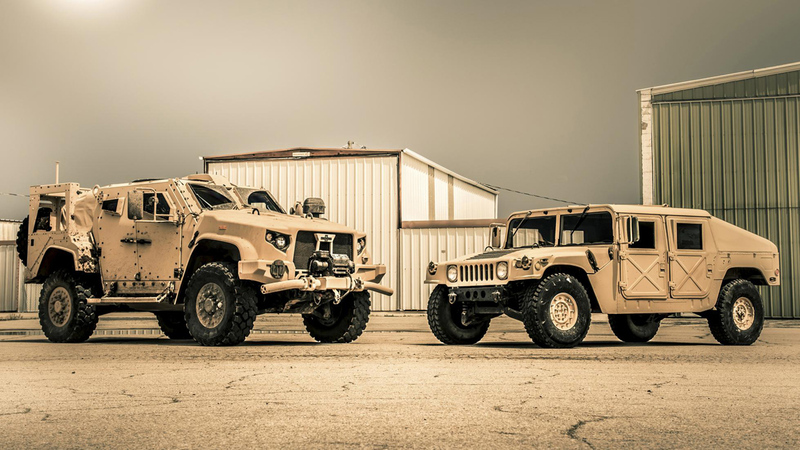 The Oshkosh JLTV is largely the replacement for the iconic vehicle that's completed tours of duty in the first and second Gulf Wars, Afghanistan, and took a pasting in the opening scene of Iron Man. The High Mobility Multipurpose Wheeled Vehicle—which beat the Lamborghini Cheetah to win the right to fight—has been in service since 1984. And it can't hack it any more. 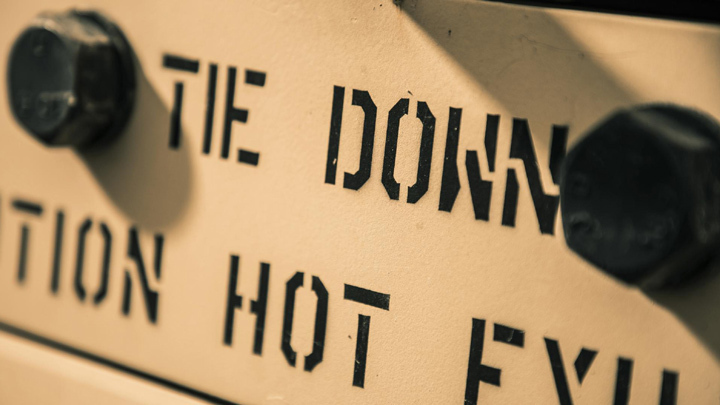 Pick any war zone news report in the past 20 years. You don't hear tales of defined battlefields. These days it's patrol ambushes, remotely detonated improvised explosive devices (IEDs), and suicide attacks. The rules of engagement have been obliterated. Now it's guerilla tactics meets urban insurgency. The Humvee, intended for humble transport duty "inside the wire"—friendly territory—is a lumbering, delicate target. 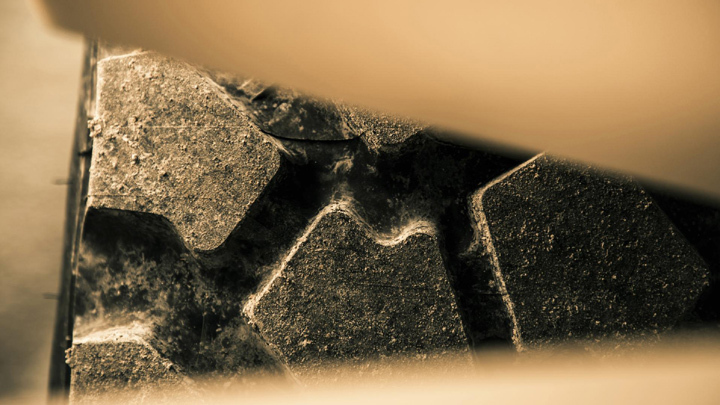 Fighting cars need to be faster, tougher, cleverer. As early as 2006, the US Army realized these unarmored trucks were getting annihilated, and as the casualties mounted, began retrofitting armor plating. Like any afterthought mod, it wasn't as robust as a purpose-built setup, plus, the Humvee’s wheezing 190hp diesel V8 now had upwards of six tons to shift, instead of 2,400kg. Payload capacity was erased. Suspension travel disappeared. Reliability free-fell, range capitulated, and the Humvee forfeited the ability to traverse rough terrain without nauseating anyone unfortunate enough to be aboard. Time for an honorable discharge. 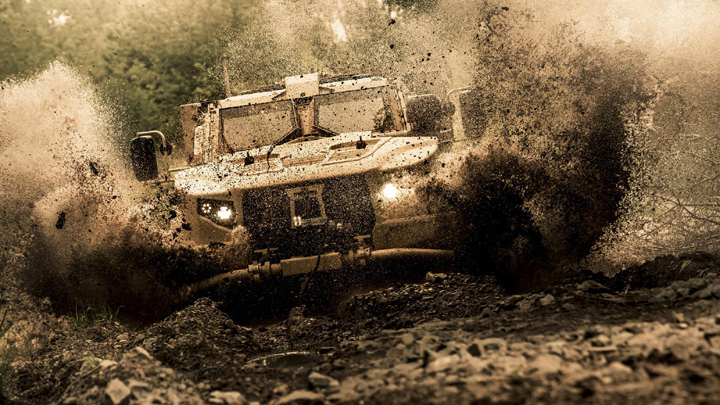 Enter the Oshkosh JLTV. 'Murican might with a (two-inch thick) windscreen, a reversing camera, two cupholders, and a bulletproof skin as standard. Wherever the US Army and Marine Corps are deployed between 2019 and at least 2060, long after The Donald has tweeted his last WITCH HUNT, you'll see these monsters charging in after the Air Force has unleashed hell from on high—with or without any human soldiers aboard. For one day only, it's commanded by Second Lieutenant Kew. Oshkosh vice president and moustache enthusiast George Mansfield strolls out of the factory door and pitches me the classic soundbite design brief: "The protection of a light tank and the mobility of a Baja race truck." That's not bravado. In this light-arms-resistant 'A-kit' form, the JLTV weighs 6.3 tons, which means a Sikorsky CH-53 Super Stallion helicopter can hoist two at a time. 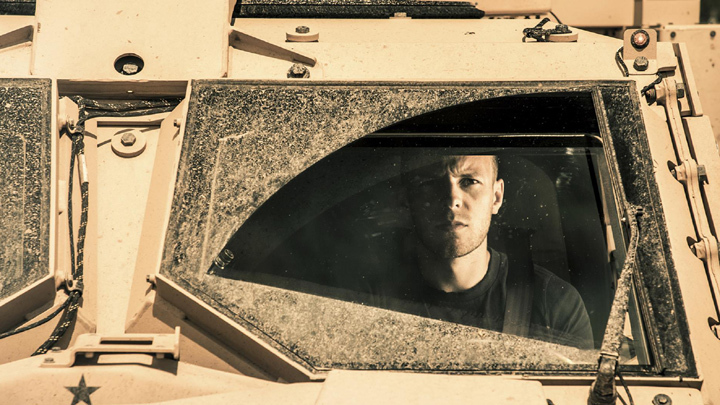 The 'B-kit' armor is MRAP capable—that’s Mine-Resistant Ambush Protected. They test that by driving the JLTV's angled underbelly over a pile of explosives and lighting the det cord. Weight? Classified, but a beastly Sikorsky can only lift one of those. Dakar Rally-conquering mobility, then? Yes, sir. The JLTV's suspension is highly classified (the dampers are one of two areas we’re not allowed to photograph in detail; the other is the interior) but the trick TAK-4i suspension has pedigree. Oshkosh tested it by competing in the 2010 Baja 1000. After 51 hours, they completed the desert race: 4.5 hours too slow to be classified, but what a way to shake down your kit. In normal ride mode, there's 20 inches—that's 508mm—of suspension travel—the same as a Land Rover Discovery has, but, when it raises to maximum lift, you could pretty much drive over the Disco. It'll also squat to stoop into transport aircraft. 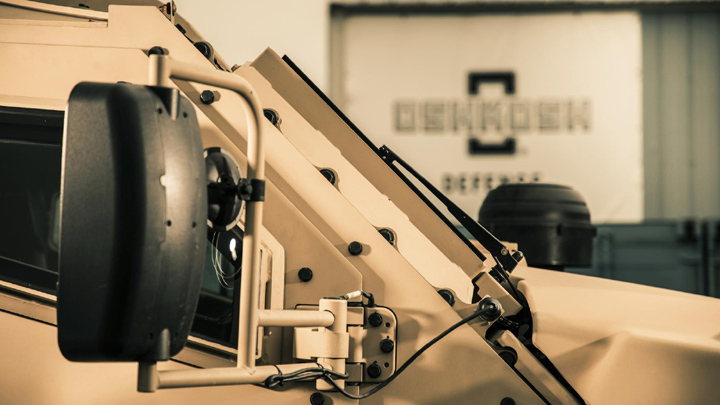 And the shocks can be commanded to contract or extend individually, so the JLTV's cabin will sit completely level on a 45-degree gradient—because it's a lot easier to train your gun from a flat platform. While the JLTV performs its sit-up-and-beg routine, I'm allowed a play in the Humvee lying around for benchmarking. This is an unarmed, unarmored example, pretty much exactly what Arnold Schwarzenegger climbed out of, and for reasons known only to the Governor, said: "Yahh, make me a civilian version, do it now." It’s intergalactically wide, so the wheels run neatly in tank tracks, but the roofline's low to fit into cargo planes. The four upright seats—mere stuffed pads on metal plating—offer less room than you get in a Ford Fiesta. It's deafening, sweltering, and accelerates so lethargically, if the Earth rotated any faster it'd never leave the spot. How has the USA won any wars with this shed on its team? Oh. Good point. George has driven over from the boardroom in his lifted 6.6-liter Chevy Silverado to watch me off-road the benchmark. He's grinning. I'm uneasy. Well, it's taken three years and over 6,000km to get here, so here it goes. This Humvee isn't weighed down by armor plating, weapons or a crew, but it tackles a fiendish off-set bump course like it's playing 'the floor is lava.' Great crashes shudder through the chassis as the suspension slams into its bump stops, jarring the car into the air. 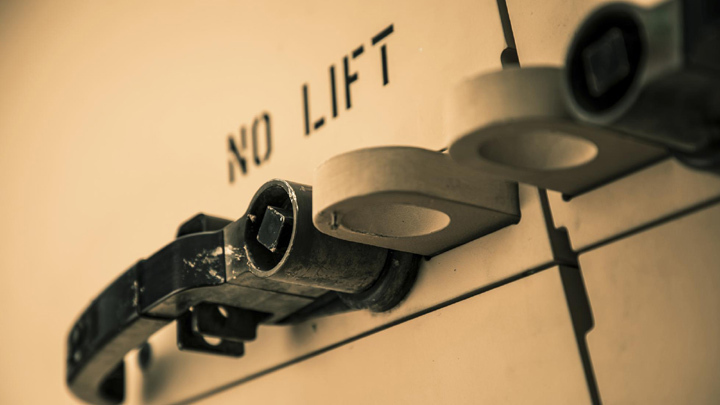 Imagine being locked in a fridge that's caught in a nuclear blast, Indiana Jones-style. When my eyeballs eventually settle back into my skull, in between the front-hinged hood flapping about like a dodgy hair transplant, I briefly spot the Oshkosh team chuckling from the sidelines. Top speed across the humped course? A horrendously uncomfortable 11kph. Before the new recruit tackles the course, I must: a) scale the side step, and b) open the door, which isn't at all heavy, if you're used to guarding a medieval drawbridge. The door's skin is a steel plate, with inch-thick armor hung from each side. It takes two hands and a foot braced against the flank to heave it open if you're a puny civilian, and I reckon a blood vessel in my eye burst pulling it shut. Shoulder sockets still creaking, the next job is to slot home the deadbolts that will hold the door in place, even if it's blown off its hinges. It's literally bombproof central locking, via a big red handle from a Victorian railway signal box. Interior photos are classified, but I am allowed to describe it. Like the Hummer, it has only four seats, but these are comfortable thrones, with cutouts in the backrests so soldiers can settle in without removing cumbersome rucksacks. It's dark. Everything's black, and the windows are portholes. It's eerily quiet too, shielded from the world in this bubble of toughness. Sticking out in the gloom is a standard Chevy auto gearlever connected to the same six-speed auto and 6.6-liter V8 diesel as George's truck. It generates 340hp, and has been prepared with new filters and plumbing to ingest rancid conflict-zone fuel contaminated with sediment and water. Front and center lives the most useful touchscreen of any car today, because what it lacks in graphical whizzbangery it makes up for with giant, legible menu tiles. Ideal when you’re driving. Handy when you're under fire and have a gun platform to adjust. The V8 starts on a button. Its hum is muted, drowned out by the auxiliary generator's shrieking whine. Then, simply slot it into Drive and let the torque take over. First things first: Aim it across the offset bumps that tortured the Humvee. The newbie cruises over at 48kph. Did I miss the bumps? Visibility is pretty appalling. Let's go again. It's absurd. This is the best-riding car I've ever driven. 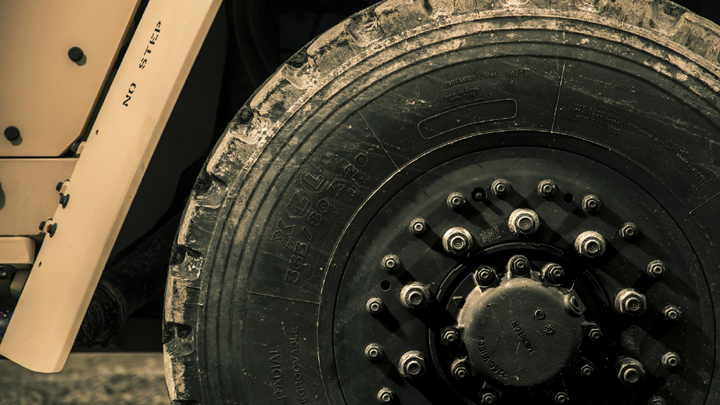 The wheel travel is enormous, but the way it damps such giant lumps of metal and rubber flailing around is uncanny. 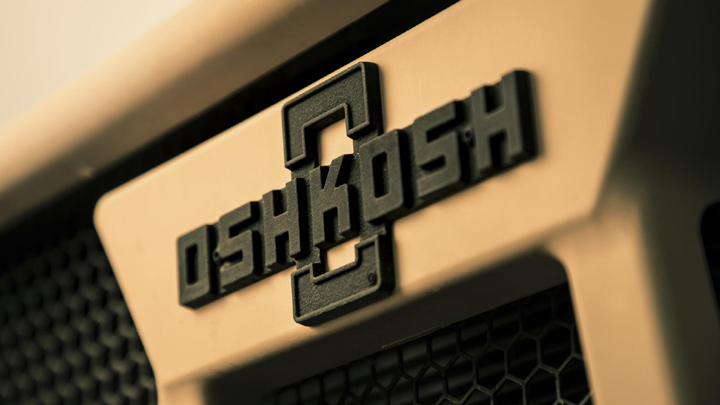 Not Rolls-Royce, not McLaren… nothing damps bumps like the Oshkosh. Whatever you hit, nothing's allowed to disturb the serenity of the cabin capsule which floats along–and I know this is a ludicrous word here—so gracefully. Emboldened, I branch off into the woods and assault a rock course modeled on the comet in Armageddon. The JLTV glides across it like it’s a golfing green. You know how you always suspect the military gets the best new tech first, and it's hidden from the public, like GPS, radar or microwaves? Here's your latest example. Bump- and bomb-proof suspension that self-levels, squats, and smooths terrain so coarse, Bear Grylls wouldn't hike over it. I wonder if it's somehow monitoring the route ahead and pre-loading each shock. As if they'd tell me. George does confirm they're working on autonomous 'drone' JLTVs, that could be unmanned decoys, supply trucks and emergency back-up. It's fast enough: limited to 112kph but it’ll get there twice as fast as the Humvee reaches 80kph. I only get two attempts at the water splash before the JLTV empties the gulley. This machine can wade through five feet of water—twice what its predecessor could manage. It goes 80km further on a tank, and 6,400 extra kilometers between services. Its maintenance costs and fuel savings are projected to save the US taxpayer $8.3 billion over the JLTV's entire life-cycle. I guess it's slightly childish to be awed by a weapon of war, but the Oshkosh is innocent of the superpower politics that'll deploy it around the world. It just gets on with its job of conquering terrain with impunity, and keeping service personnel aboard safer than any light combat vehicle in history. So it's probably the most important new car you'll clap eyes on today. And one hopefully not hearing the call of duty near you any time soon. NOTE: This article first appeared in TopGear.com. Minor edits have been made. 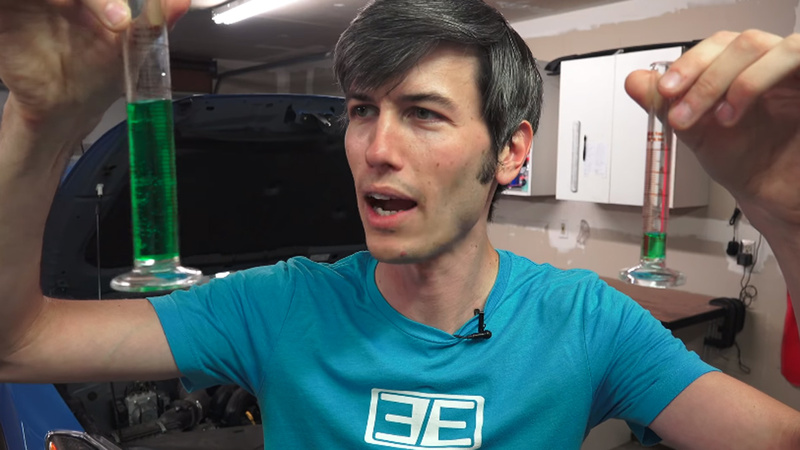 Best of YouTube: How much fuel does an idling car really waste?